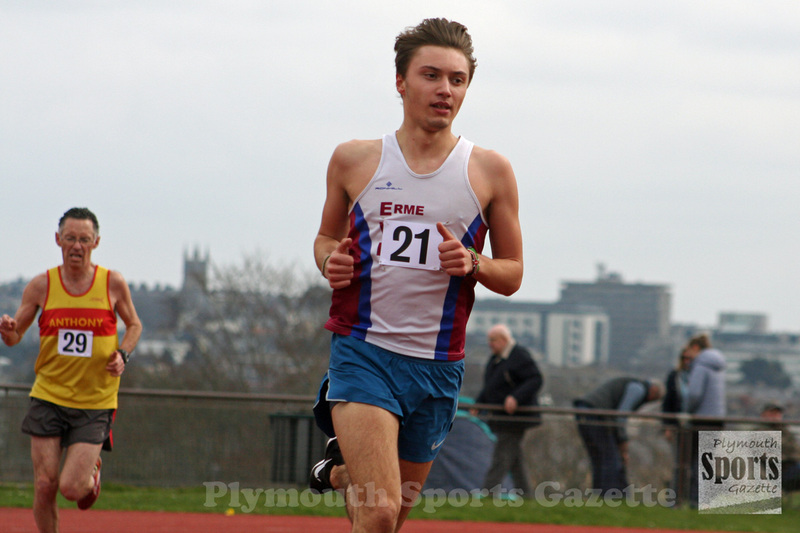 ERME Valley Harriers’ Nathan Brown produced a good run in wet and windy conditions to take second place in the men’ 1,500m race at the BMC meeting at Exeter in midweek. Brown clocked 4:06.74, which was just four tenths of a second off his PB for that distance, despite the poor weather. The race was won by fellow under-20 Finn Birnie, who clocked 4:02.11. 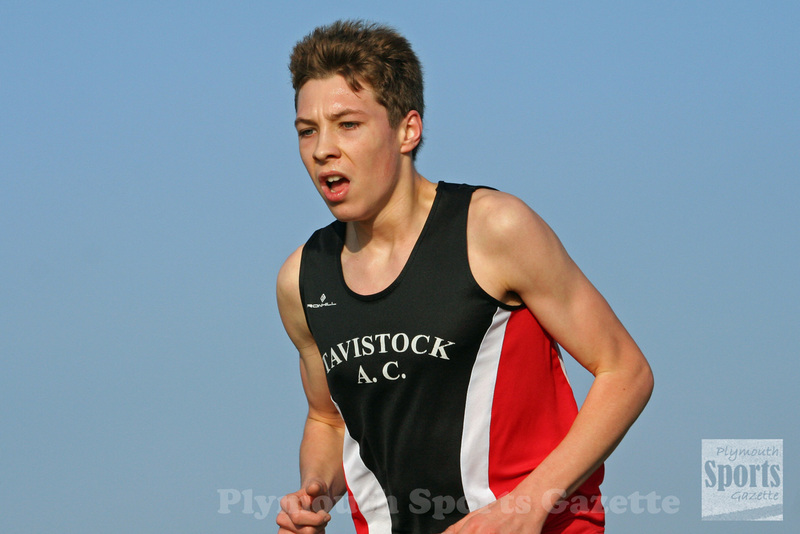 Tavistock’s Mount Kelly College runner Tom Brew set a new PB of 4:21.64 to finish 10th in a strong A race field. In the B race, there were encouraging runs from Tavistock under-15 athletes Euan Botham, William Russell, Dan Luckham and Jamie Brew. Botham and Russell set new PBs of 4:43.90 and 4:44.93, respectively, while Luckham ran a season’s best 4:59.54 and Brew 5:09.36, which was a PB for him. In the BMC 800m races, City of Plymouth’s under-15 runner Oliver Woodmason won the men’s C race in 2:18.85, while Tavistock under-13 athlete Nicolas Maczugowski clocked a PB of 2:41.41. Erme Valley Harriers youngster Olivia Travers clocked 2:35.78 in the women’s 800m. Meanwhile, there were good runs by Mount Kelly College pupils Oliver Smart and Amelia Riggot at the London Mini Marathon. Tavistock Run Project’s Smart finished 12th in the under-15 boys’ race in a fast time of 15:32 minutes for the three mile run. Riggott came 29th in the girls’ under-13 race in 19:08 minutes.